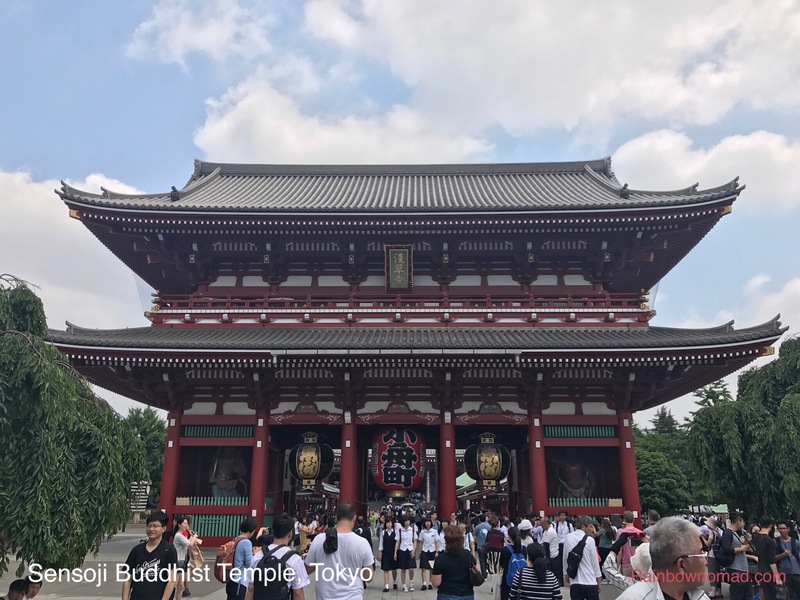 Zooming around Tokyo on the metro and JR rail lines to see the shrines and temples of Tokyo was made easy with friend Boyd. 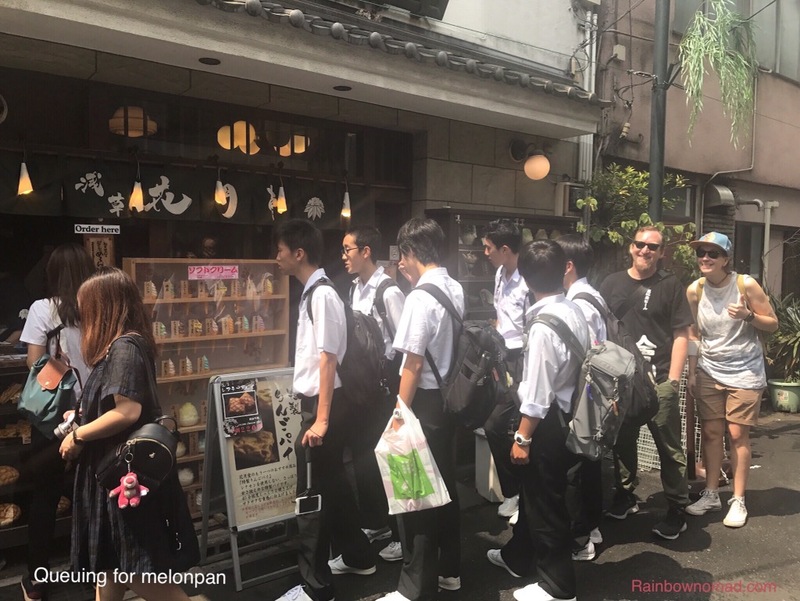 Our second day began with meeting Boyd, our local Aussie guide and colleague of M, who wanted to show us the best of Tokyo’s sites. There are over 1000 Buddhist Temples and 400 Shinto shrines in Japan but we were to visit the main ones in Tokyo, Senso-Ji and Meiji. Firstly, we learnt how to use the metro with a Pasmo card and we leaped onto our first really crowded train. Our arrival at the Senso-Ji Buddhist temple cooincided with hundreds of school children on day trips who crowded into the entrance alleyway, full of shops selling trinkets. 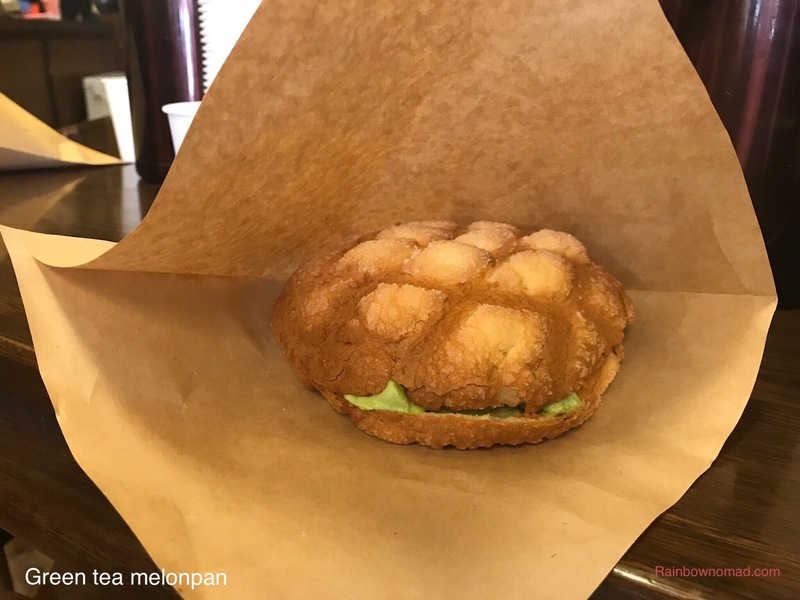 Boyd whisked us into a side street where we queued with the school kids for melonpan, a crazy waffle-like bun filled with soft serve ice-cream. Mine was green iced tea flavoured. 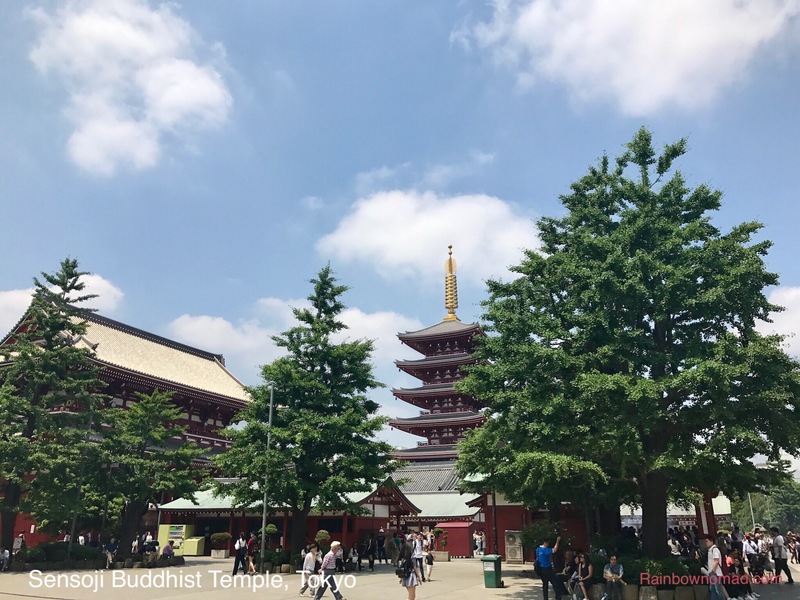 The Senso-Ji temple enshrines a golden image of Kannon, the Buddhist Goddess of Mercy, although it’s not clear if the image actually exists. The Goddess was supposed to be rescued from the nearby Sumika river by two fishermen in the 600’s. It is a large complex with several shrines but largely rebuilt from the 1970’s, only one remaining from the Edo era of 1600’s. 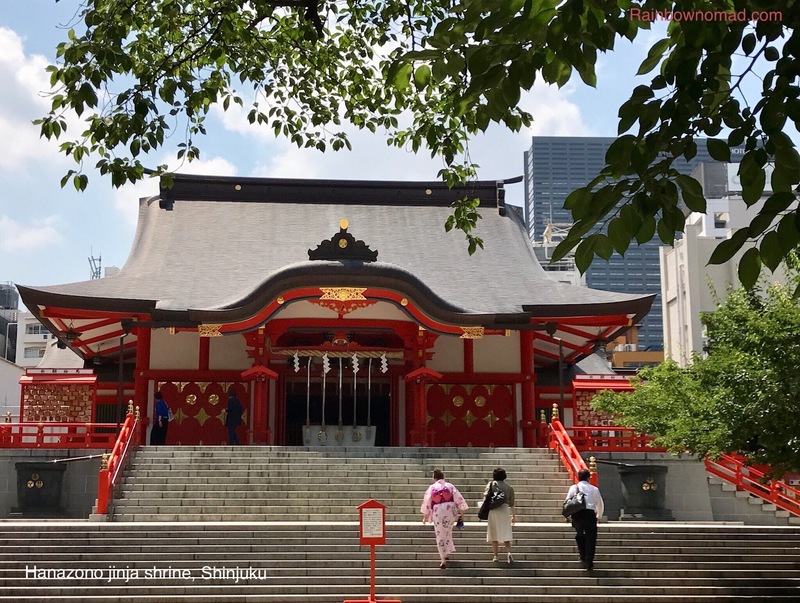 The entrance is protected by the Gods of Thunder, Raijin and Wind, Fuijin. 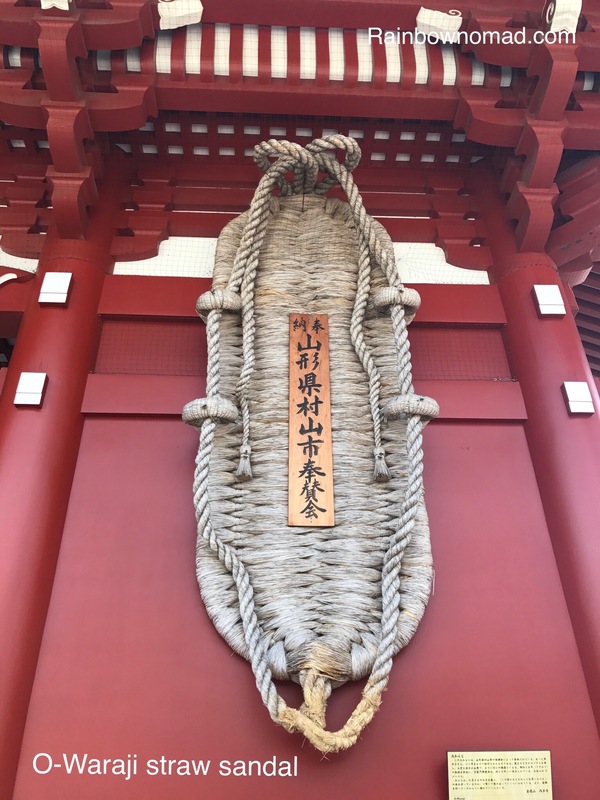 On the reverse side of the entrance are a pair of huge straw sandals, O-Waraji, weighing 2500kg and standing 4.5 metres on the wall of the temple and which were made by 800 citizens of Murayama in a month, as a tribute to Senso-Ji and as a protection against evil spirits. 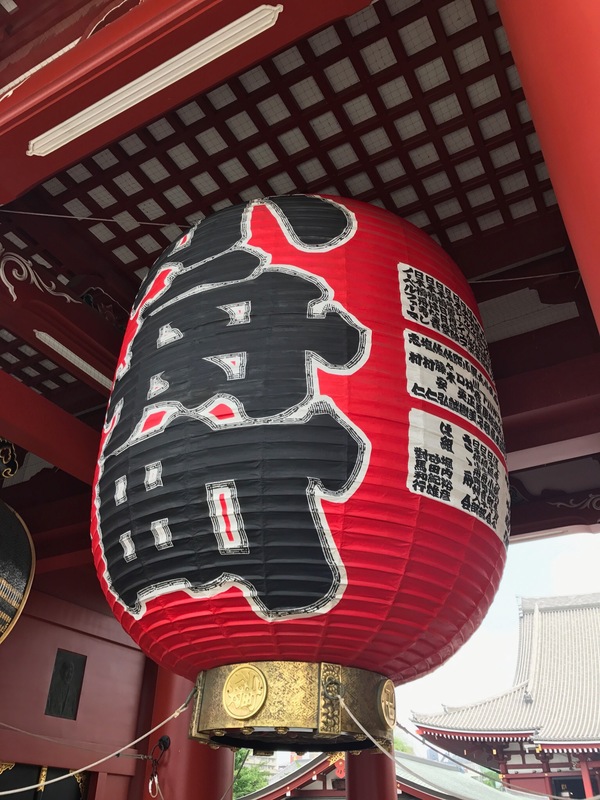 The bottom is worn by worshippers touching it for good luck. 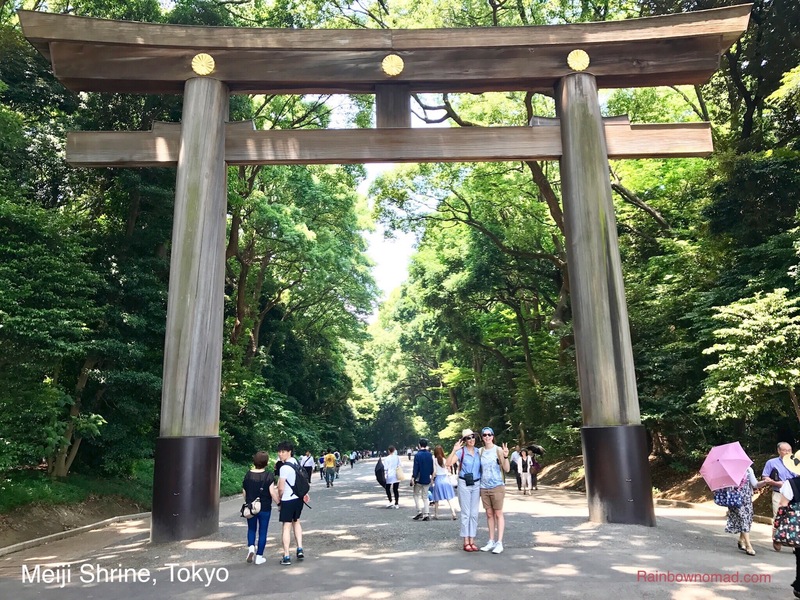 Our journey continued to Meiji-Jingu, the grandest Shinto shrine in Tokyo. 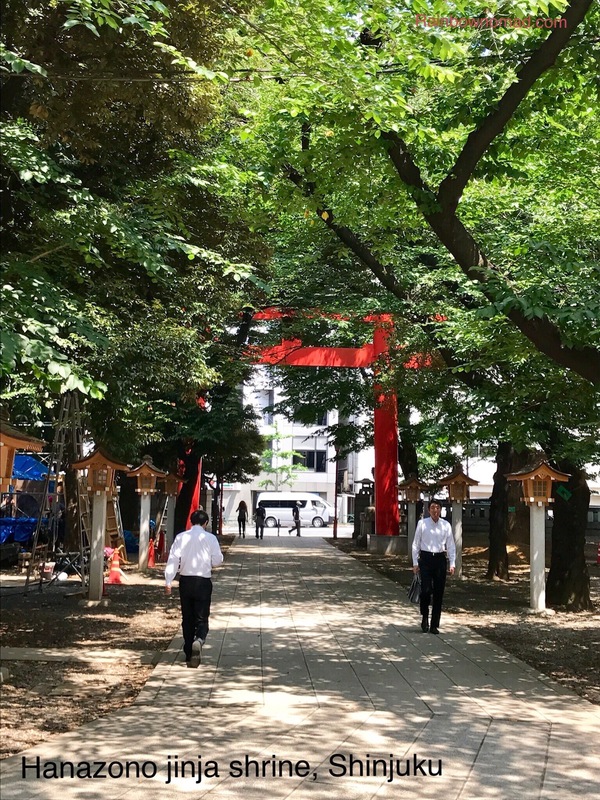 My reading of Shinto religion suggests that it is an animistic spirituality by which worshippers believe that humans are basically good and evil comes in the form of spirits who can be warded off by praying to ‘kami’ such as Fuijin the God of the Wind. 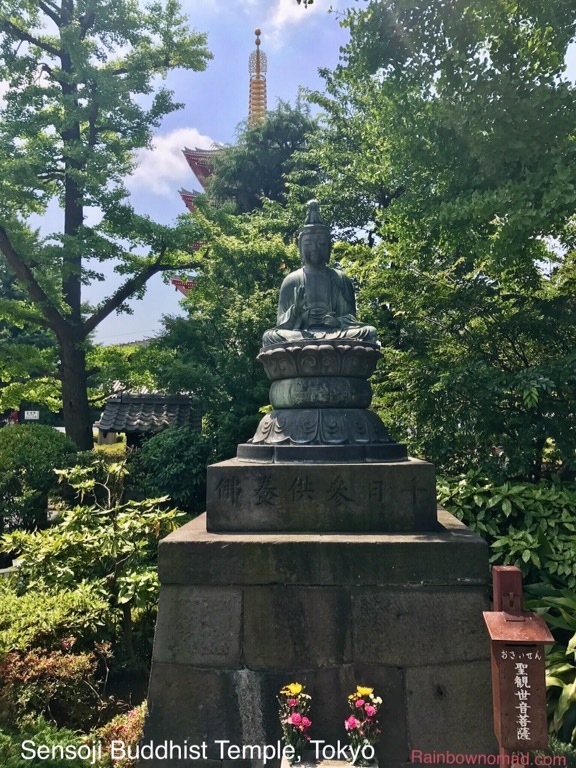 Interestingly, Fuijin was also guarding the Buddhist temple! The Meiji took over from the Edo era Shogunate in the mid 1800’s and moved the capital from Kyoto to Tokyo. The Meiji shrine was built in 1920 and was destroyed by air-raids in the Second World War, being restored in 1958. The huge entry gate made from Taiwanese cypress is however 1500 years old. The Meiji-jingu Gyoen or Garden, once a feudal estate was redesigned by the Emperor as a gift to the Empress Shoken. 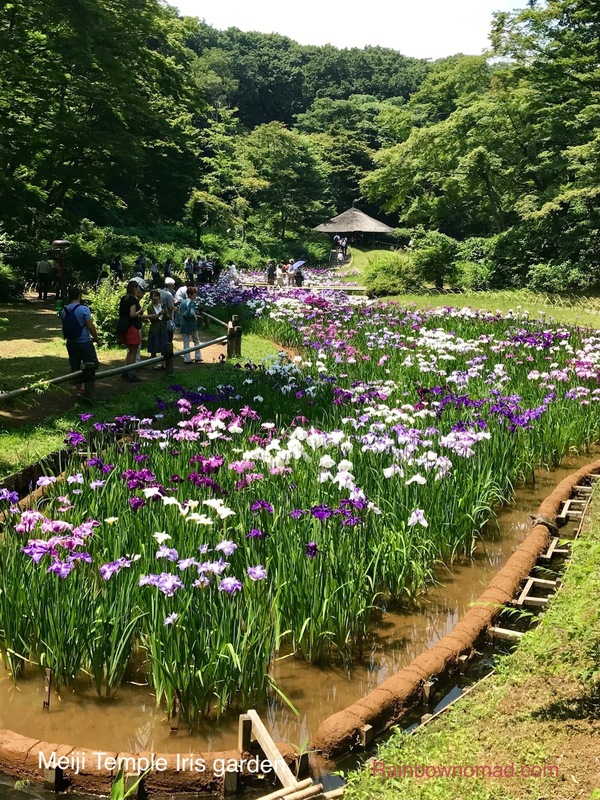 In June, it boasts over 400 species of iris, which were in full bloom in a spectacular display. 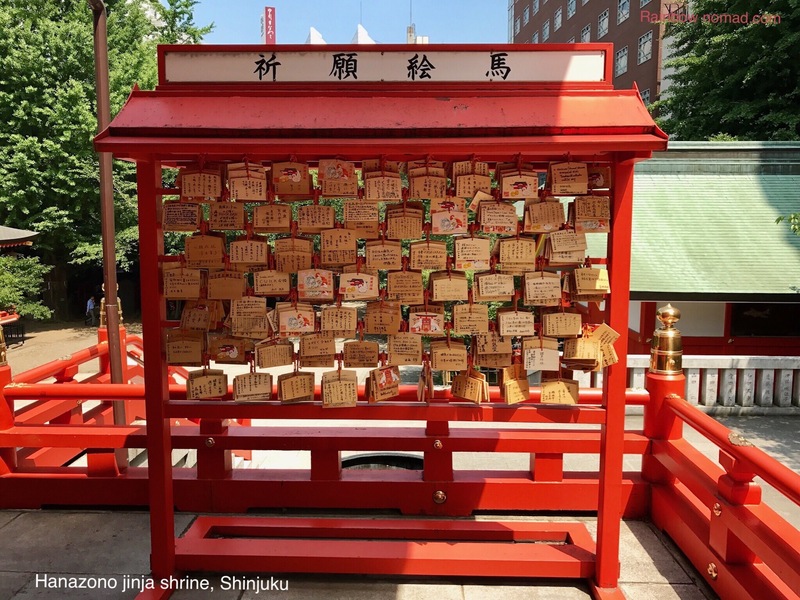 The last Shinto shrine we visited was nestled behind the busy Shinjuku Main Street, Hanazono Jinja, right behind the bars of the Golden Gai area of Shinjuku. It was a peaceful place to rest with a welcome treelined entrance. 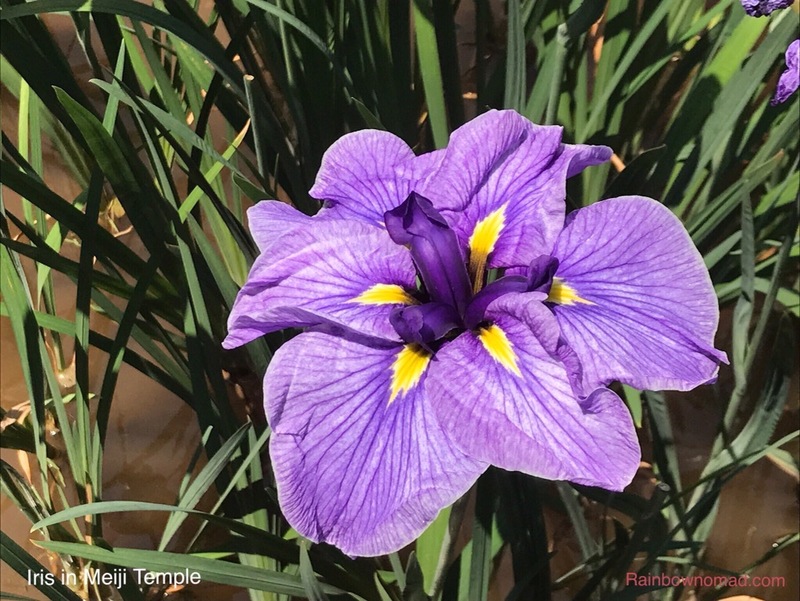 The Japanese are masters at creating restful, beautiful and spiritual places in the midddle of a mega city of 24 million people.